Ages 6 to adults, males and females. This is adult gaming equipment so it's a party that parents and aunts and uncles enjoy too. and they'll have time for, cake and presents. $27 ($30 for 6pm session) which includes a fruit juice based slushie drink and unlimited water for each soldier. 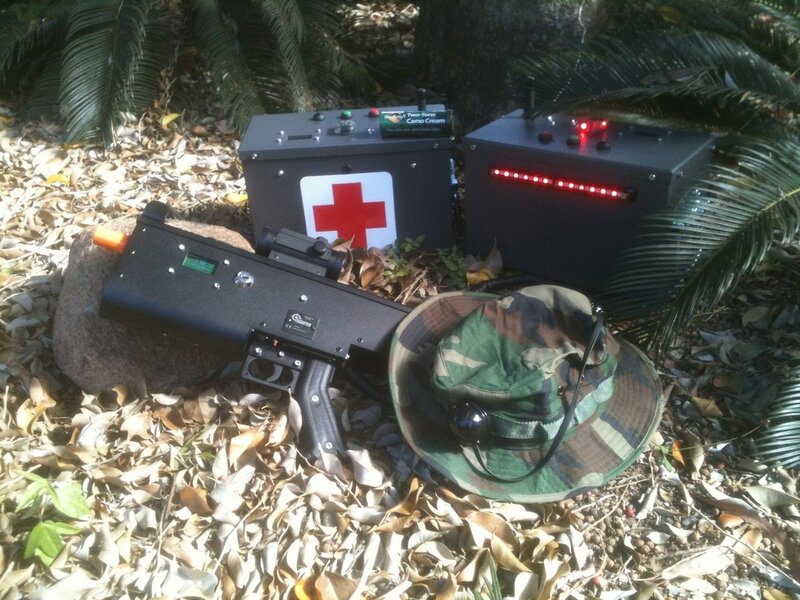 Play 2 games using medic boxes as your team's base camp and launching assaults on the other team's base. Hide in buildings and take cover in the gardens, just like real warfare. Based on the ages and abilities of your soldiers we'll choose a fifth laser tag game with a new objective to shake things up. It may be our Rednecks and Rustlers game or the deadly Team Death Match.